"FIFA understands Mr. Mutko's decision, which was also taken in the interests of the 2018 World Cup in Russia. FIFA thanks Mr. Mutko for taking such a responsible step and the work he has done so far to prepare for the World Cup," the statement said. On Monday, President of RFU Vitaly Mutko announced his decision to temporarily step down from his post. RFU Director General Alexander Alayev has been appointed the acting president of Russia’s governing football body. "I have made a decision and informed the RFU Executive Board about it," Mutko told journalists. "One of the union’s regulations state that if a president is unable to fulfil his duties, he should step down." "In order for the RFU to proceed with its work I have requested to suspend my duties for the period of up to six months," he said. "I am not resigning and my mandate will be still valid." "I will definitely return after the period of six months, perhaps earlier," Mutko added. Mutko, 59, took charge of the RFU in September 2015 after the resignation of the previous president, Nikolai Tolstykh. Mutko, who also held the post of the Russian sports minister in 2012-2016, used to be in charge of the RFU between April 2005 and November 2009. He stepped down from the post of the organization’s president, following a government resolution, which required that state officials should quit top positions in sports federations. 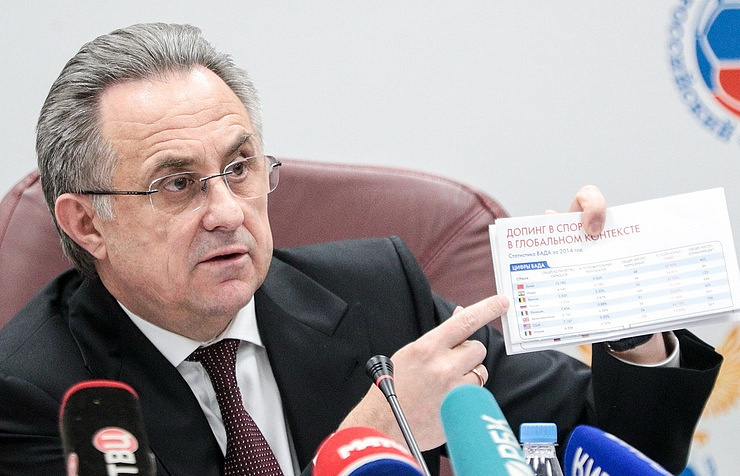 In July 2015, an exception was made for Mutko to combine the posts of the sports minister and the RFU’s head, which allowed him to take part in the RFU presidential elections. Mutko also holds the post of a Russian deputy prime minister, who oversees the issues of sports, tourism and youth affairs in the Russian government.